H.H. Martin was a Cheltenham based company that originally specialised in architectural decoration. 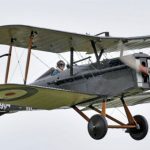 During the First World War, the company developed; and in early 1918 the Gloucestershire aircraft company was formed. 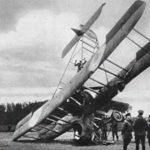 Thus beginning the thriving aviation industry in Cheltenham. 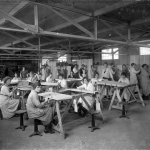 By April 1918, approximately 45 aircraft were being made in Cheltenham every week. Much of this productivity was due to the hard work of local women who were called upon to fill the gaps on the workforce. 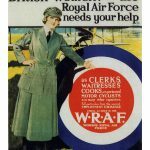 If you missed out on visiting the exhibition at the Jet Age Museum (created by the RAF Association for Cheltenham Remembers), you can still watch this video which gives an overview of the story behind the formation of the RAF in 1918 and the development of the local aviation industry in Cheltenham during the First World War. With thanks to Air Vice Marshal Tony Mason CB. CBE. DL of the Cheltenham branch of the RAF Association.